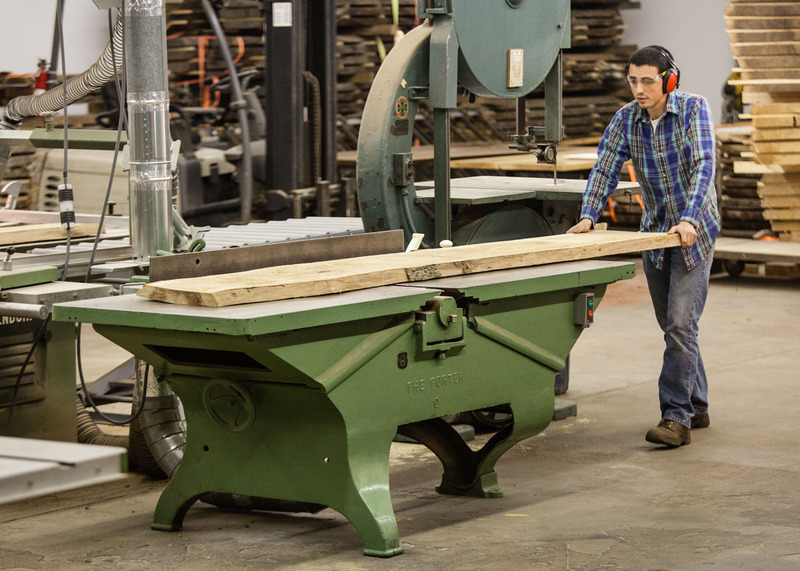 Elko Hardwoods is a contemporary furniture company specializing in one of a kind, live edge designs. In our Chicago showroom you will find handcrafted tables, benches, and desks built from solid slabs of locally sourced hardwoods. From harvest to mill to finish, we take great care to preserve the knots, shape, and imperfections of every log. Doing this honors its natural beauty and gives the tree a second life. 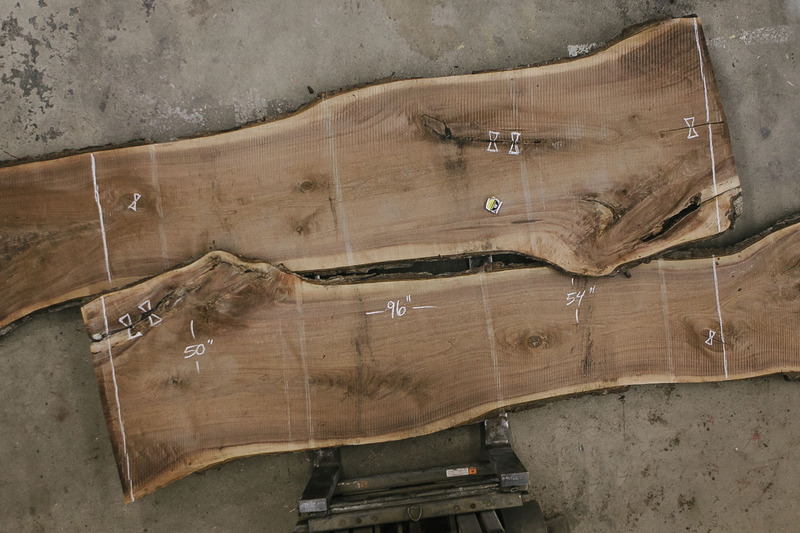 We pair the slabs with handmade bases to create furniture that captures the beautifully unique character of each tree. The entire process, from tree to table, is done in house, resulting in truly one of a kind pieces of functional art. At Elko Hardwoods, we’re passionate about giving trees a second life while putting a piece of nature in your home. Our trees are sustainably sourced from northern Indiana. 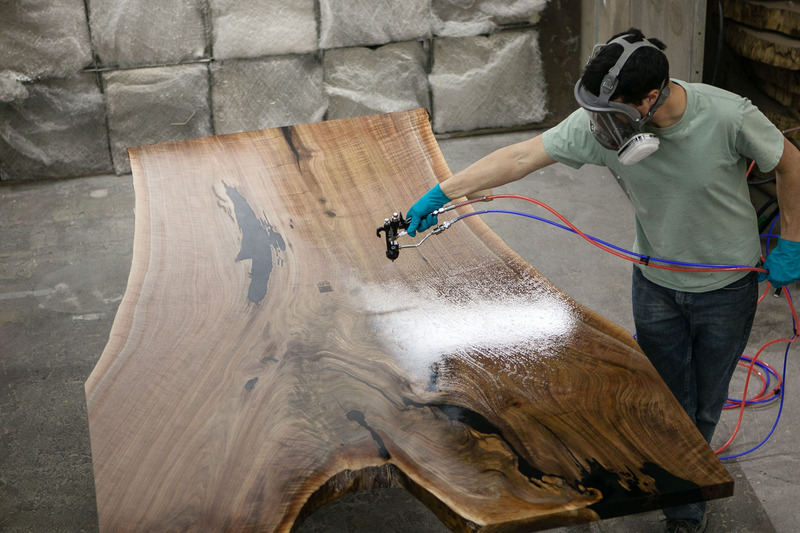 The entire process from tree to the final fabrication is done in-house, one table at a time. Often nearly a hundred years old, the trees that we salvage can live for another century as functional pieces of art. While most mills saw for grade by avoiding knots and imperfections, we saw for character. 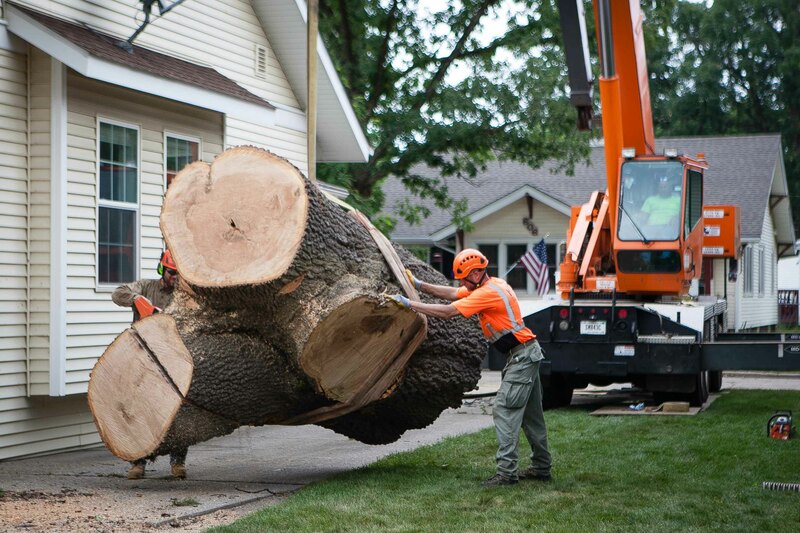 We cut large slabs that retain the tree’s size and natural shape. This guarantees that no two Elko Hardwoods tables are alike. Slabs are paired with mates and stacked to air dry for two years. This slow process helps retain rich color and avoid twisting and cupping, which occurs when drying is rushed. Slabs are brought down to a final moisture content in a carefully controlled kiln. The exciting design process begins. Working with a client, we lay out slabs to find the perfect orientation and begin chalking out design elements. 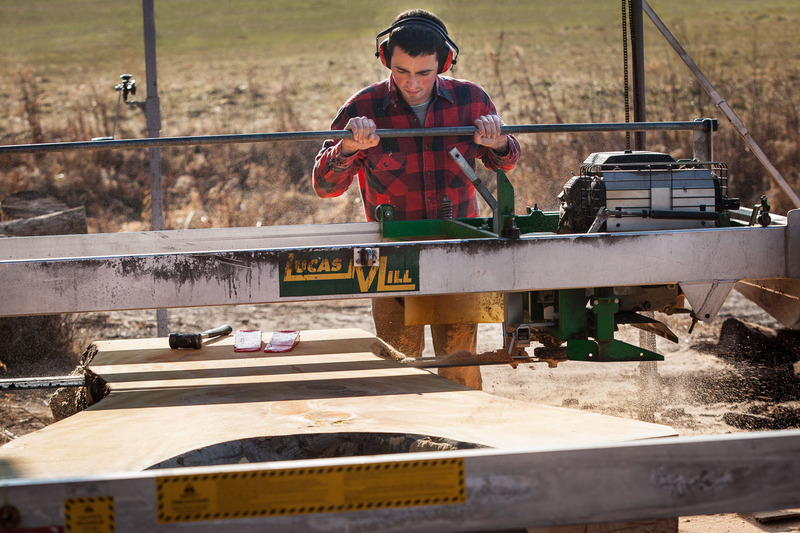 Flattening, shaping, and smoothing rough slabs is done with various power and hand tools. 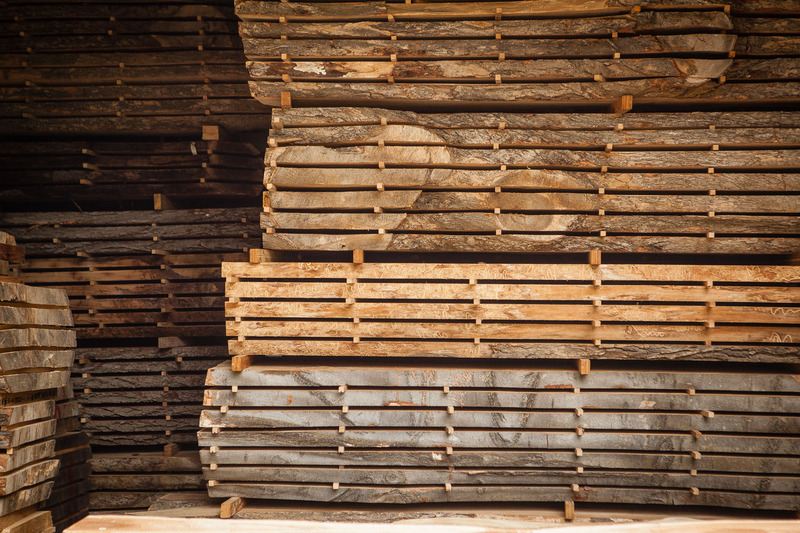 Each slab is unique, so we customize our designs to the grain patterns and shapes that are revealed in this process. 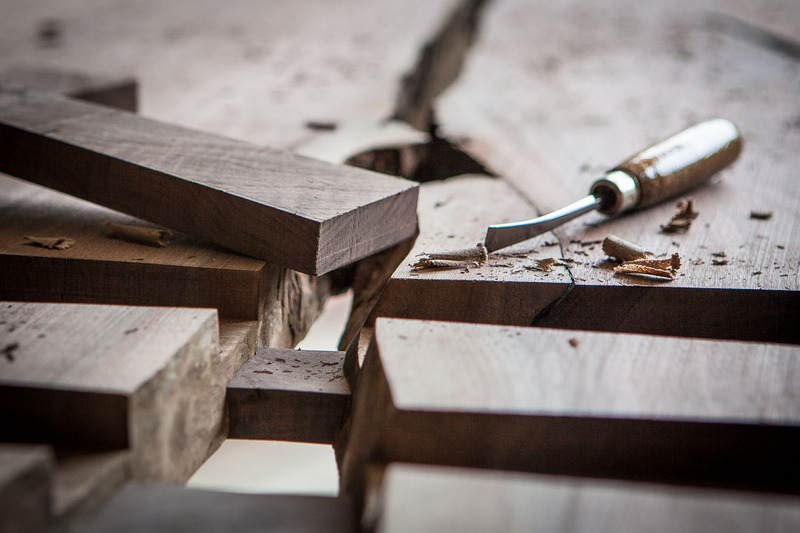 To embrace the natural features of each slab – cracks and all – butterfly joints are added. Each butterfly is hand cut and thoughtfully placed, providing stability and an artistic flair. The bottom of each piece is branded and numbered. We apply top of the line finishes that are imported from Italy. Extremely durable, water resistant, and matte, these finishes are low maintenance and will protect the surface for many years. Base fabrication is done in house and custom fitted to each tabletop. 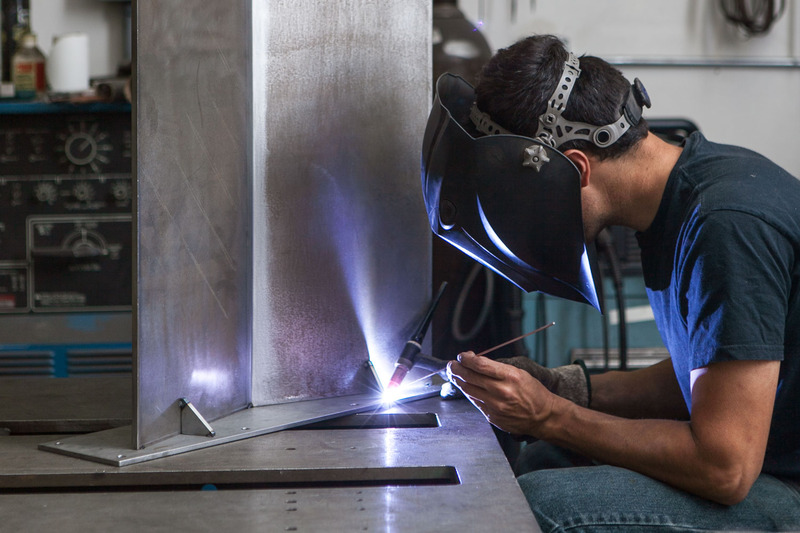 Each base is TIG welded, a time consuming and precise welding technique, to ensure a solid foundation for each piece. Give a tree a second life and put a piece of nature in your home. Find your table today.